Another fine addition to the Elm Creek Quilters series. I have yet to actually hold one of the series' books in my hand to read, only have listened to the wonderful Christina Moore give voice to each character. This is the 12th in this wonderful series. Two of the characters are leaving the circle of quilters for schools, one for more learning and one for teaching. Both will be missed to be sure. They were among the original founders of Elm Creek Quilt Camp and each has their specialty they have added to the group. New members, which had their stories in CIRCLE OF QUILTERS, have been added to the fold. They are sort of mentioned in passing here. This story is about the past of each of the founding members and how they came to quilting and, more importantly, how they came to be best friends. 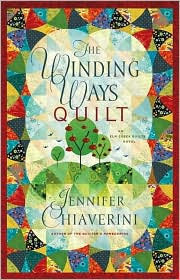 Very very enjoyable and Jennifer Chiaverini's cast of characters continues to make me want to go to the local quilt shop and take lessons. I've read all in this series except this one. Sounds good. I really liked the original members of the group, and it will be nice to read about them again. Though I enjoyed the books about the past, I've missed the teachers at the Quilt Camp. Good review, Vickie. If it's a good as the cover art is beautiful, I know I'll like it! I'll look for the first in the series to load on the iPod. Lynne: I am a bigger fan of the series' books that take place in current times. Not as fond of the ones in the past. Mary: I love the cover art!! I really think you will like this series. Nice review! I've never heard of the Elm Creek Quilters - I'm going to check for them in the library. 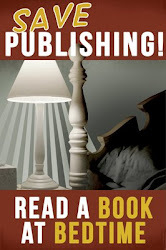 I love these types of books! Bobbi: I rarely venture outside of my comfort zone of mysteries, thrillers, paranormal, etc, but this series is well worth the venture. I hope you enjoy them too.